There are lots of reasons that parents choose to homeschool curriculum, but could it actually be the smartest way to teach kids? One of the greatest advantages that homeschooling has to offer is that homeschooled kids can receive a personalized education. A major benefit of homeschooling is kids can explore and learn about things that they actually care about. In this way, kids are more likely to be engaged, they’re more likely to enjoy what they’re doing, and they’re more likely to remember what they learned. When kids enjoy what they’re learning about, they’re also more likely to enjoy the process of learning and want to apply that to other things in life. A personalized education also means that you will be able to tailor your kid’s education to meet their strengths and their weaknesses. If you have a child who is brilliant in math but struggles in English, you can beef up the math program and patiently work through the English work at their pace. Plus, you can find excellent curricula that specifically fits their needs, as opposed to the varying needs of the whole class. Not only can a homeschool child’s education be custom-fit, but it can also be delivered to them individually. Even if you are homeschooling multiple children, they’re still not likely competing with twenty other children their age. Instead of “teaching to the middle” which is an understandable result in a large classroom, you’ll be able to work closely with your kids. They won’t get lost in the crowd, and you’ll have a better understanding of how well they are doing academically. So that all sounds great, but aren’t homeschooled kids awkward and anti-social? Well, this is something of a myth. While some homeschooled kids may be anti-social and awkward, this is likely to be true if they were attending public school as well. Socialization is one of the biggest concerns people have when they consider homeschooling. How can kids learn to socialize, work together, overcome differences, and understand people when they never leave their home? Well, the truth is that homeschooled kids actually do socialize, they just socialize differently. Many homeschooled kids participate in extracurricular activities like sports, 4-H, music, and other clubs. Many of them are also part of a co-op where they meet once a week or once a month with other kids in the community who are homeschooled. They may have regular classes together, or they may group together for local field trips. 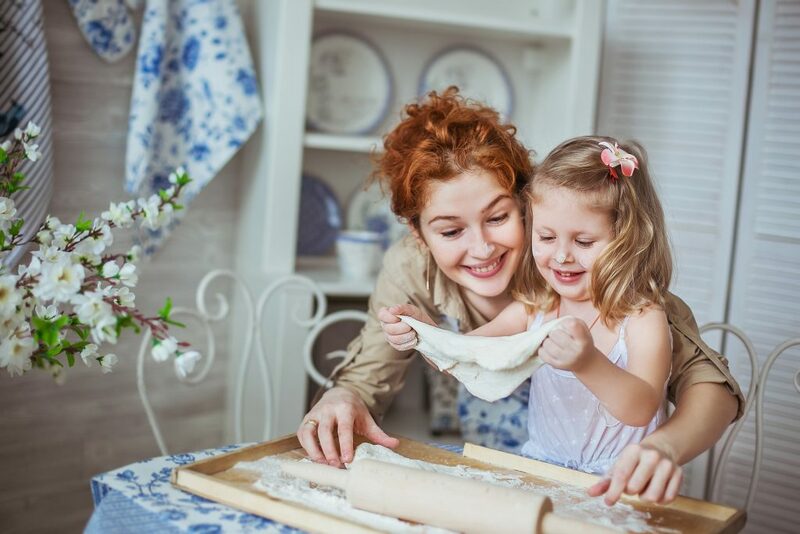 Many homeschool families highly value volunteering in their community and find ways for their kids to care for others. One of the other things that advocates of homeschooling point to is that the type of socialization that public school offers isn’t necessarily the best preparation for life. When you go out into the workforce and into adult life, your neighbors and co-workers are not all going to be your age. You’ll be surrounded by people of all ages and viewpoints. Not to mention that peer pressure is a real thing, and often isn’t the best way for kids to evaluate themselves. A lot of homeschooled kids are able to develop personalities and interests that aren’t quickly put down by a group of peer-age kids. In other words, homeschooled kids may very well be different than other kids, but many times in a wonderful way. You may or may not be aware that on average, homeschooled kids test higher on standardized tests — up to 34-39 percentile points higher on average according to a 2008 study. The surprising fact is homeschooled kids score higher regardless of family background, socioeconomic level, and level of the parent’s education. Homeschooled children continue this trend into college, scoring higher on SAT and ACT tests and on average receiving higher GPAs as well. There’s also research that suggests that homeschooled children go on to be more active members of the community, are more likely to vote, and are more well-adjusted in terms of social, emotional, and psychological development than the average general public. If you asked people thirty years ago what they thought of homeschooling, they probably would have given you a lot of reasons why they thought it was a bad idea. This is understandable, and almost always the case when people do something that’s counter to the culture. Thankfully, as time goes on, the critics are becoming less vocal as studies show that homeschooled kids grow up to be just as successful as their peers, if not more so. One of the top benefits of homeschooling is that kids get a lot of confidence and learn about things that they actually care about. In this way they like to get involved in the things and when they involve they learn something new every time and they definitely enjoy what they do.